Home » Past Screenings » THE ROMANOFFS Advance Screening Passes! THE ROMANOFFS Advance Screening Passes! Do you want to see THE ROMANOFFS before anyone else? Learn how you can see an Advance Screening to see it before anyone else. 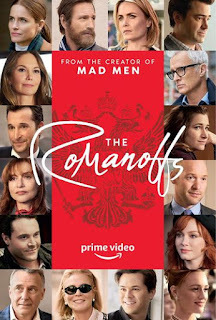 From the creator of Mad Men, The Romanoffs is a contemporary anthology series set around the globe featuring eight separate stories about people who believe themselves to be descendants of the Russian royal family. Starring Aaron Eckhart, Diane Lane, Isabelle Huppert, Christina Hendricks, John Slattery, Amanda Peet, Jack Huston, Kathryn Hahn, Noah Wyle, Paul Reiser, Andrew Rannells and more. 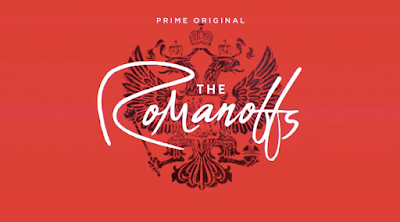 THE ROMANOFFS premieres on Amazon Prime Video October 12th, 2018. Complimentary popcorn and soda will be served.